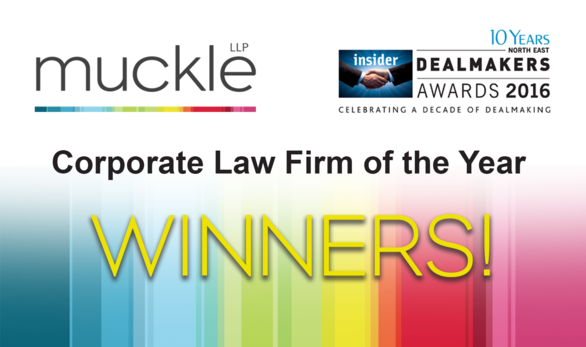 We are delighted to have won Corporate Law Firm of the Year at the Insider North East Dealmakers Awards last night for an unprecedented seventh time. At the ceremony held at the Gosforth Marriot Hotel, we also scooped Deal of the Year (under £10m) advising on the acquisition of Michell Bearings by British Engines. Our Associate solicitor Adam Rayner also won Young Dealmaker of the Year award. 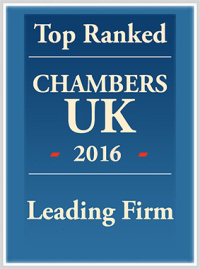 This is a fantastic achievement for the firm and recognition of a great year and excellent teamwork. The event celebrated the great and good in dealmaking over the last 10 years. Our firm was noted as working on 43% more deals than any other law firm in the region over this period. These latest accolades follow the Experian results which place Muckle LLP’s Corporate team in pole position for H1 2016 once again for completing the most deals, having previously ranked us as the top dealmaker for 2015 and 2014. We were also named the best law firm outside London, when we won the prestigious Regional Team of the Year award at Solicitors’ Journal Awards in June this year. The winners of the North East Insider Dealmakers Awards are selected following a confidential nomination process by members of the North East business community.